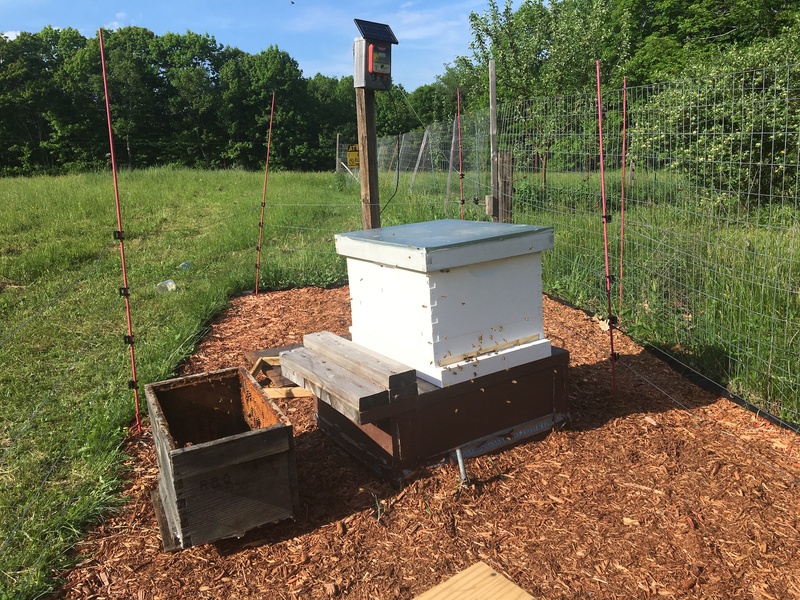 When you pick up your bees, you should do so at twilight, after they have come back to their nuc or hive to rest. Drive them under cover of dusk and install them in the hive after dark. We did none of this because the timing was all wrong. The nuc was suddenly ready, without ample warning and we weren’t able to plan very well, but this is the essence of farming. You do the best you can and Mother Nature does whatever she wants. Overnight, they seemed to calm down and now we see them all over the farm. They have just missed the bonanza of last week’s blossom – lilac, dandelion, apple, pear, cherry blossoms, but we still have some honeysuckle, which they love and the lupine is coming up in addition to several wild flowers. We haven’t mown the lawn for a few weeks so they can take advantage of all the newest wild flowers, plus, our arugula has gone to seed and we have spuds blooming. The bee tale reminds me of my childhood, more than 80 years ago, in Margaretville where my dad kept bees. We got them through the mail and the Post Office would be buzzing when they arrived. My dads bees were quite “tame” in that they didn’t mind us if we didn’t do anything to disturb them, and we had lots of good honey.